Population growth in the Lake Norman area has put increased pressure on the health of the lake. A larger population results in more impervious surfaces, a larger necessity for sewage management, and increased deforestation and soil erosion. 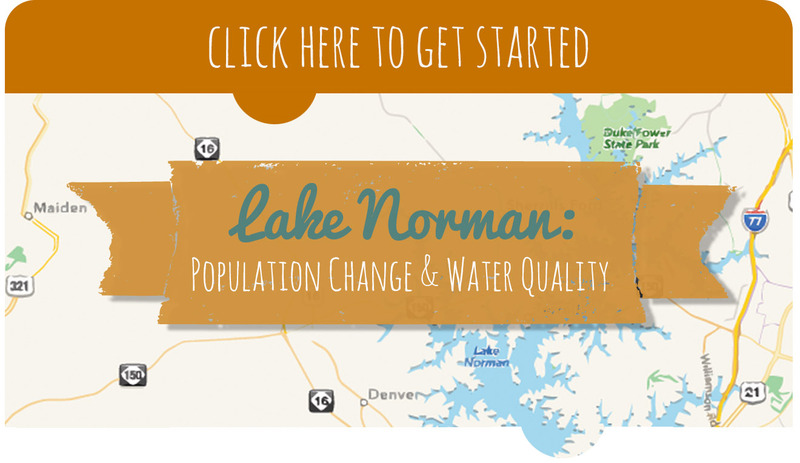 The Lake Norman area’s exponential population growth creates a myriad of problems, but the overall health of the lake has actually improved over time. Proactive individuals have worked to reverse factors that impact the lake’s health, such as erosion and fertilizer runoff, by creating environmental organizations like the Catawaba Riverkeeper Foundation and Save our Lake Organization, that look to monitor and control these concerns. Over the past 20 years, especially in Mecklenburg County, individuals and organizations have made efforts to control erosion, develop stream restoration projects, and encourage community cleanup efforts.